The radar sensor VEGAPULS 65 is everywhere in use where liquid levels in small to medium-sized containers have to be measured but small process fittings (1½ inch) are required. This measuring principle is a really economic solution for applications requiring contactless and continuous level monitoring in storage tanks under easy process conditions. The special strength of this radar gauge: the low-frequency C-band sensors ensure reliable measurement even when foam and bubbles form on or in the medium. 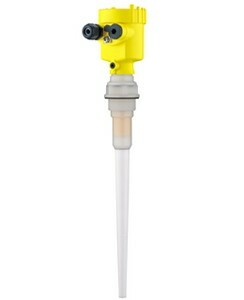 The level sensor VEGAPULS 65 is ideal for level detection of liquids in small to medium-sized vessels with small process fittings (1½ inch). The special strength of this level sensor: the low-frequency C-band ensures reliable measurement even if the medium generates bubbles or foam.